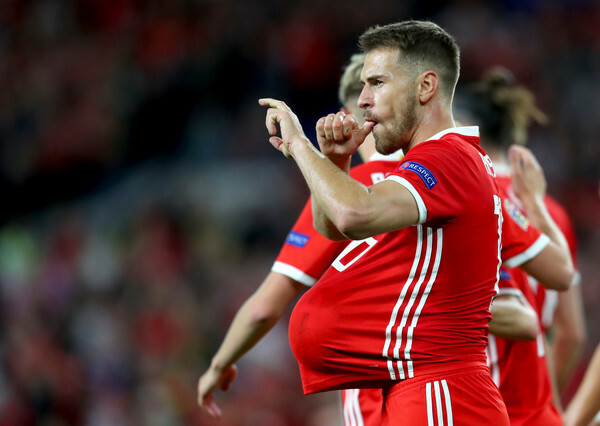 Wales Football News - Tue 12 Feb 19. Aaron Ramsey signs �400,000-a-week contract with Juventus [ metro ]. Aaron Ramsey promise [ standard ]. Club decude against Aaron Ramsey deal [ standard ]. Ben Davies groin injury [ tottenhamhotspur ]. Andy King close to Derby start [ derbytelegraph ]. Ben Woodburn and Isacc Christie-Davies training camp [ liverpoolecho ]. Wales young guns at Bristol City [ bristolpost ]. Alex Babos on target [ dcfc ]. Wales players in action Monday 11 Feb 19. Barney Soady starts for BCFC u23s, Pearson twins on the bench vs Plymouth, were Luke Jephcott starts.